In the 17th and 18th centuries, care was offered free of charge at the Hôtel-Dieu de Québec. However, according to historian François Rousseau, some categories of patients paid for their care. In fact, the Augustinians invited people who could afford to contribute financially. Among these people were the bourgeoisie, who also had to pay for their servants or slaves, merchant ship captains, who had to pay for themselves and their sailors, and priests. The latter had their own building and gave what they could or what they thought fit their means. According to François Rousseau: “a 1725 bylaw from Saint-Vallier fixed the priests’ pension at 50 French sols during the winter and 40 sols during the summer. Perhaps they enjoyed special treatment, but it is much more likely that the Hôtel-Dieu received this to treat other categories of patients. It is likely that these funds helped finance the care of others in addition to that of the priests. Therefore, free care was mainly for the poor and penniless. 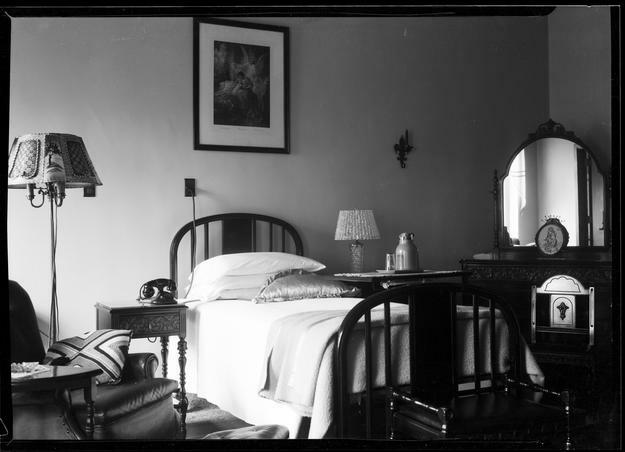 In the late 18th century, care was always free for patients admitted to the common rooms of the Hôtel-Dieu. Wealthier people, however, had the opportunity to pay for access to a private room that sometimes included a living room. Even a loved one could rent a room. This enabled the Hôtel-Dieu to finance, among other things, the care for the less fortunate in the common rooms. At the beginning of the 20th century, it appears that hospital stays and certain medical expenses were billed to patients. The oldest patient account record in the Centre d’archives du Monastère des Augustines dates from 1915 (HDQ-F5-D3,2/1). According to archivist Chantal Lacombe, there are entries for the pension, medication, the consultation and the doctor’s bill. She noted that bills were not repaid approximately one out of three times. These fees were the same for everyone. 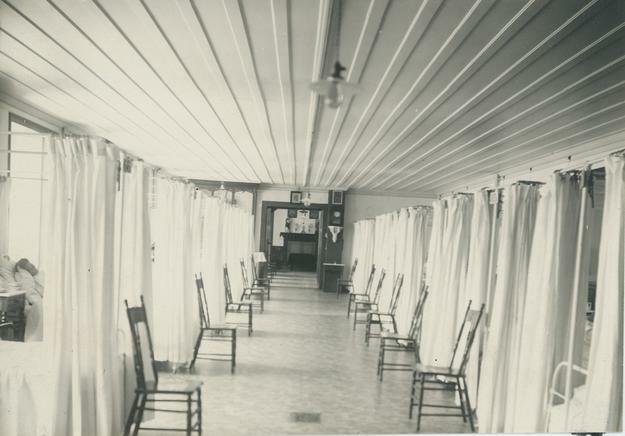 In 1916, for example, pension cost 50 cents per day and Dr. Simard required $25 for surgical expenses. However, this did not preclude some people getting treatment at no cost. In fact, Chantal Lacombe said that one day the community’s Superior denounced a doctor, in writing, who had sent an invoice to one of his patients who was unable to pay the costs when he was released from the hospital. The doctor then decided to clear this person’s debt. This is a good example of the Augustinians’ generosity. In addition, it appears that the archives feature correspondences from priests who defended people’s inability to pay for their hospital expenses. Finally, it should be noted that royals and, later, governmental authorities sometimes contributed to the care of patients admitted to the Hôtel-Dieu. For example, during the time of New France, the King covered the costs for the soldiers and sailors of the Royal Navy. As for the government, in the hospital’s accounts registry dated April 1841 (HDQ-F5-D2,4/6), the Trésor de la province gave 100 pounds to the Hôtel-Dieu de Québec “to help the sick.” Remember that at that time, Québec’s healthcare system as we know it today did not yet exist. 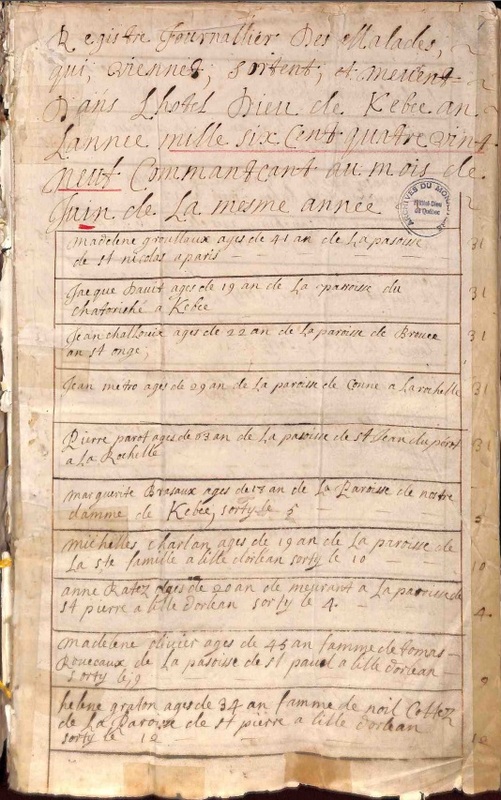 To learn more about the Augustinians’ funding and their work, read La culture du don: financer l’œuvre hospitalière and Gérer les fruits de la terre on Le Monastère’ blog (in French only).